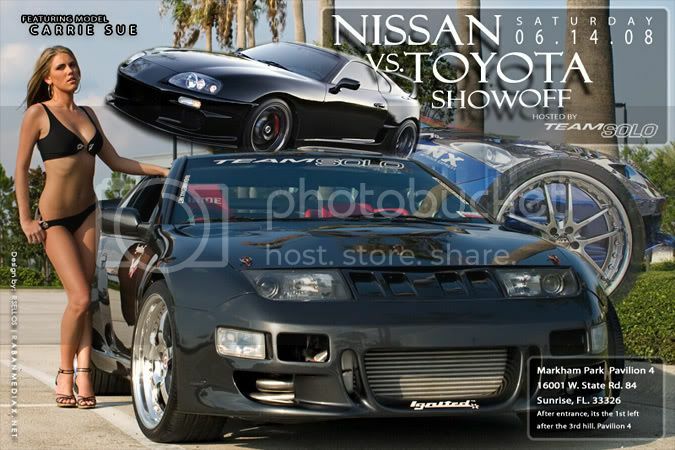 The 1st Annual Nissan vs.Toyota Show Off. "Two of the top Families in the Tuner World face off." Best Make Of Show Off. Space is limitied so please pre-register to guarantee a spot. Raffle Giveways of over $3000.00 from companies like Rotora, Meguiar's, D2autospot, Figs Engineering, B-quiet, Patterntek & ABC Upholstery. Every car registered will recieve a Meguiar's goody bag with 4 meal tickets to use towards food and drinks, 4 free raffle tickets towards the big giveways, Event coverage from Enginehead.com with Models on site to take pictures with your registered cars, all included in your Registration Donation. Damn, just mapquested it. Too far for me. nice, i might have to show up for this! If I make it back from my trip, I'll definitely go. I know there will be some nice cars out there. If it were closer I'd go. It's almost an 11 hour drive. If I go, I will take an infinite amounts of pics. It will be as if you were there.. It would be nice to see fellow Alltrac owners, but with these gas prices, I'd think twice. If I go, you'll get the rundown of what happened. Vacation? What vacation? Aren't you always on vacation Pat? Pat, make sure to take some good pics (of other cars too, not just the trac... ). I wont be able to make it, since I'm on the road. (GA and NC). 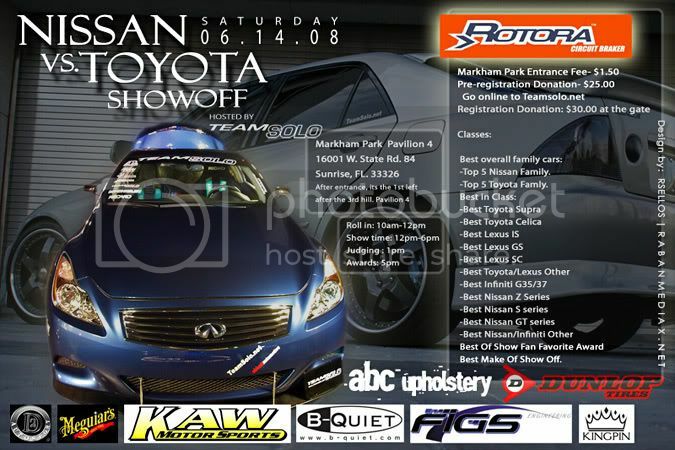 I will be heading down saturday morning, so I wont be there on time. I wish it were on a Sunday. Chad, have fun on your birthday...!! Thank God for you orelse I'd never see the pics. These Alltrac guys, I tell ya.. How have you been? It's been a while. Please post more pics if you can.